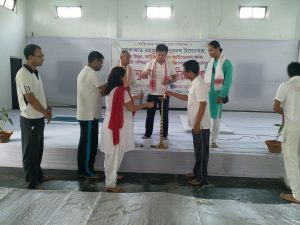 The programme was formally inaugurated by SDO (Civil) Vevek Shyam and former legislator Balendra Tamuly with lighting of the lamp at the Bokakhat Officers’ Club in the morning. 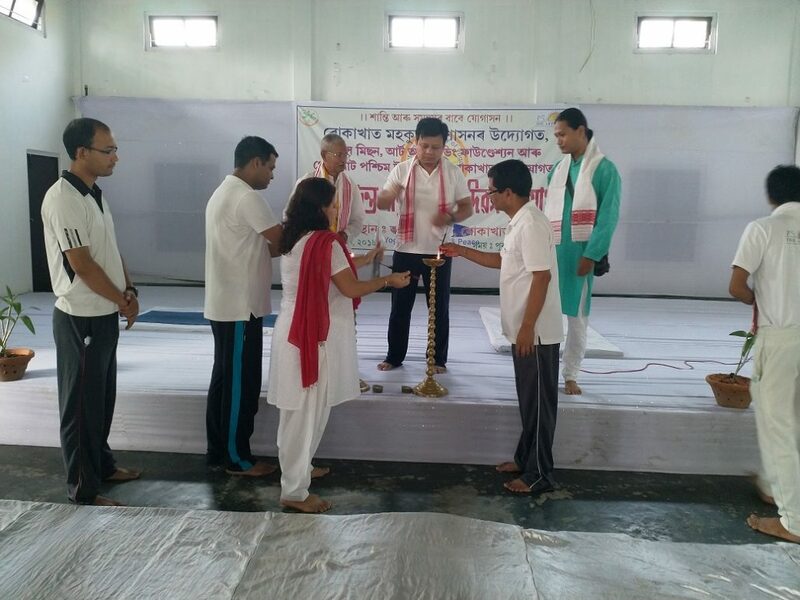 The programme was organized by the Bokakhat sub-division administration in association with ‘Ayush Mission’, ‘Art of Living’ and other organizations. More than 100 people joined in the programme and performed yoga. The yoga practices were supervised by Hemanta Gogoi of Ayush Mission and Bijoy Boro of Art of Living. The programme was attended by officials, school students, representatives from various organizations, journalists from Bokakhat. The Rashtriya Swayam Sewak Sangha (RSS)and Viswa Hindu Parishad (VHP)also organized a programme on the occasion of World Yoga Day at Shankardev Vidyalaya in Bokakhat.